How to make an easy DIY shadow box to display a memory collection. 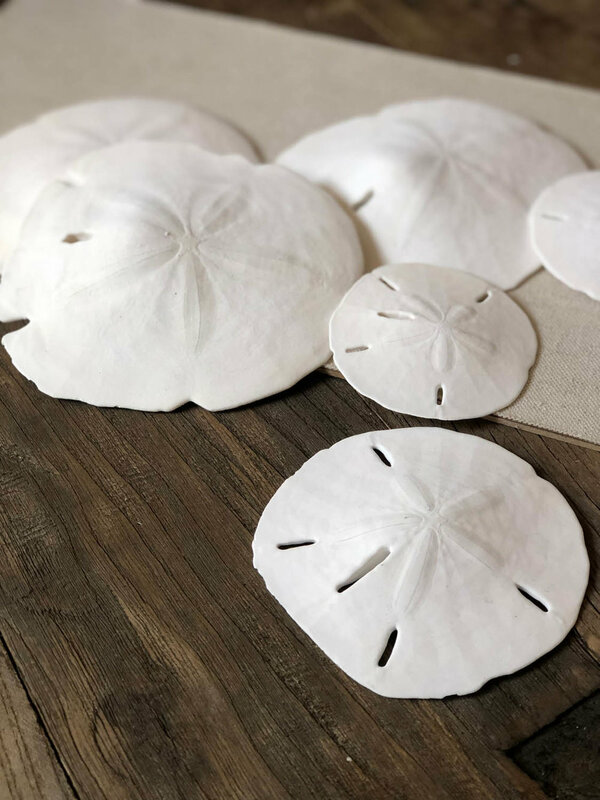 I have a beautiful collection of sand dollars of all things! My adorable fiancé gave them to me for gifts over the years with the idea that I'd "turn them in" for weekends away or trips together. We've had some great trips together but he never asks me to give them back...thankfully! They've been sitting in a bowl for a while and I've been looking for a way to display them since I treasure them so much. I finally had an idea when I was at the frame store and found half-price shadow box frames. 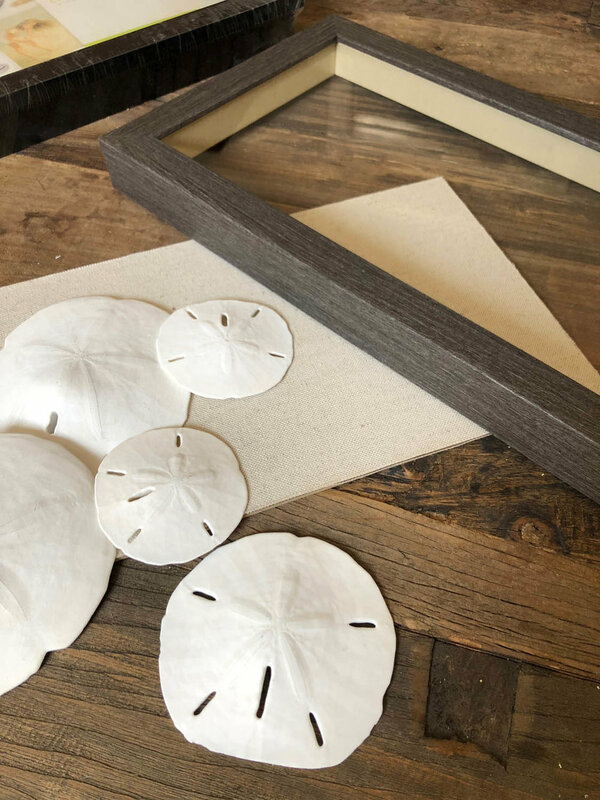 I immediately thought of two places I could hang what would soon be my sand dollar display. 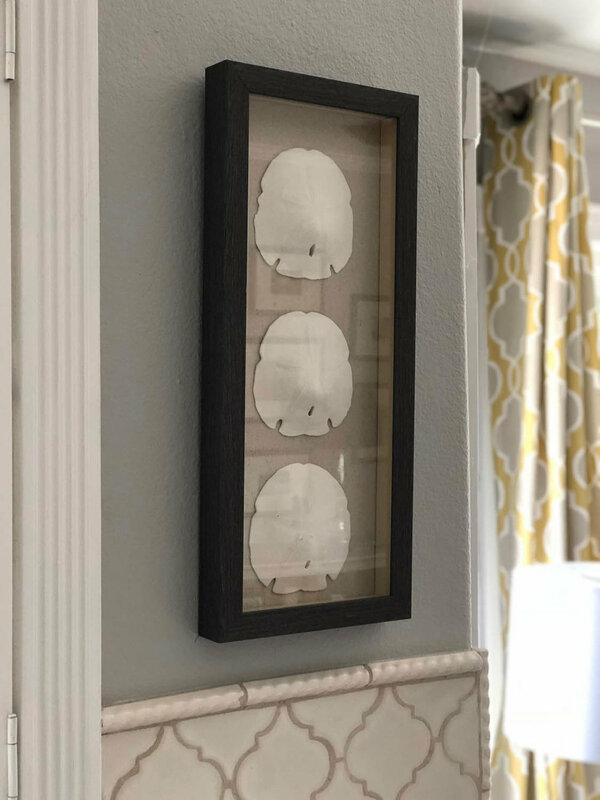 Although there would only be three of them in this shadow box frame, it would fit perfectly in one of my spaces and be a lovely design element. 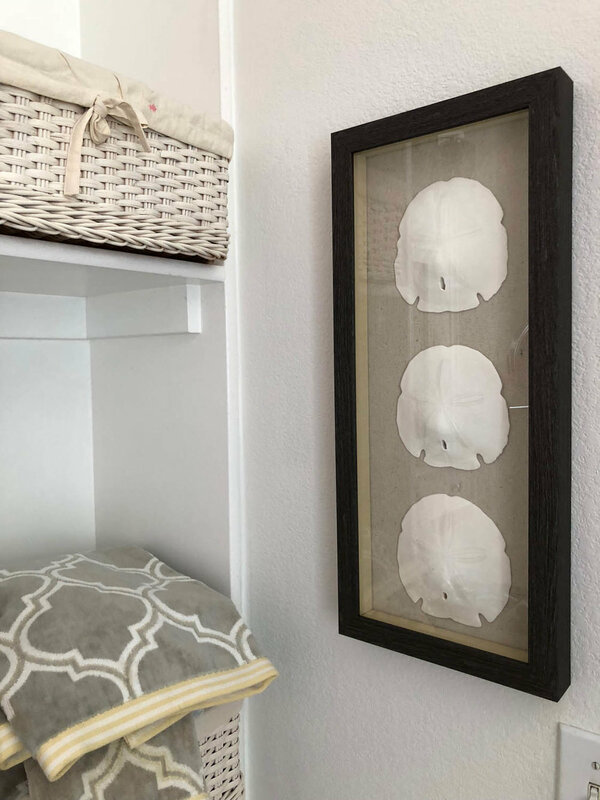 Any variety of things like shells, cards, small sewing implements, or other special mementos could be used in a shadow box frame like this and it's so special to see your meaningful items displayed in a beautiful way! The frame I purchased was an inch and a half in depth and the backing was already covered in linen fabric. It was absolutely perfect for my display! Remove the back of the shadow box frame and place items on the backing where they might look best. Take your time to think about placement and visibility in the frame. Mark the placement of your item with a pencil. 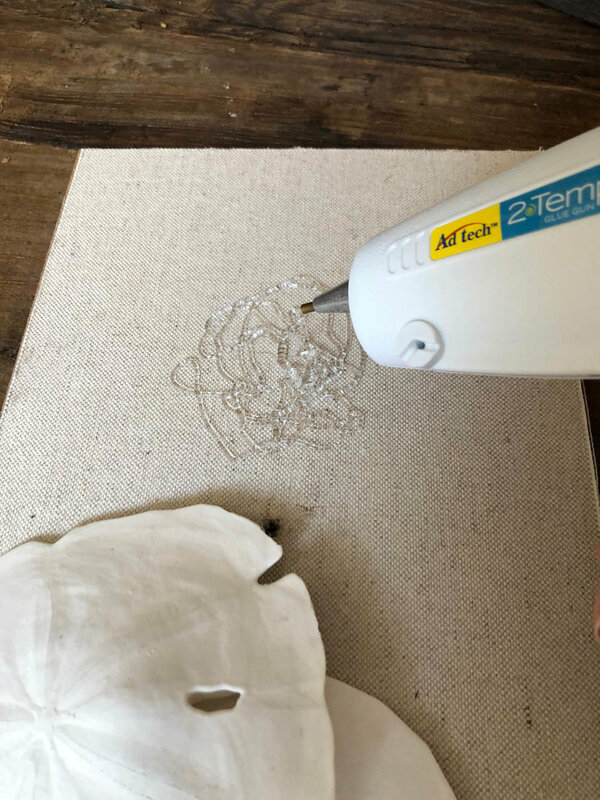 Spread a good amount of hot glue on the backing and then VERY quickly press your display item firmly on backing. Use caution not to burn your fingers during this step. Let the items dry for at least 30 minutes and then check the security. After assuring they are in place and dry, return the backing to your shadow box frame and display as desired. I absolutely love the result of my easy DIY shadow box displaying my treasured sand dollar collection! Have you framed any of your special items in this way? I'd love to hear your DIY tips and tricks for easy crafts! You might also enjoy my other DIY & Crafts posts, including my tutorial on how to make a DIY Ribbon Clipboard by up-cycling and old frame, and how to make your own Sweet-Smelling Hand-made Bath Bombs. What to do with extra scrapbook paper!